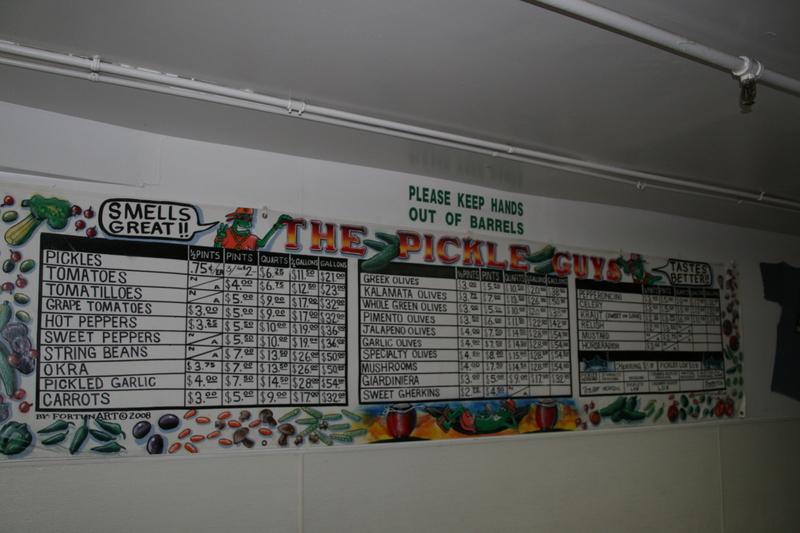 We were on a search for the best pickle on Manhattan. Before my friend embarked on a trip to the East Coast in June, she did a little research. She googled and searched, arriving in town with a name and address. 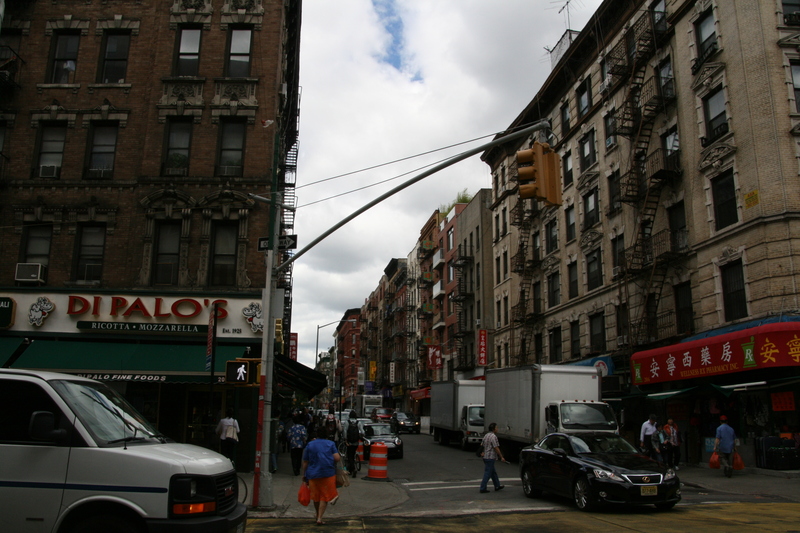 Her family and I followed as she walked briskly from South Street Seaport through Chinatown and Little Italy, passing glistening gelato and mouth watering cannolis. 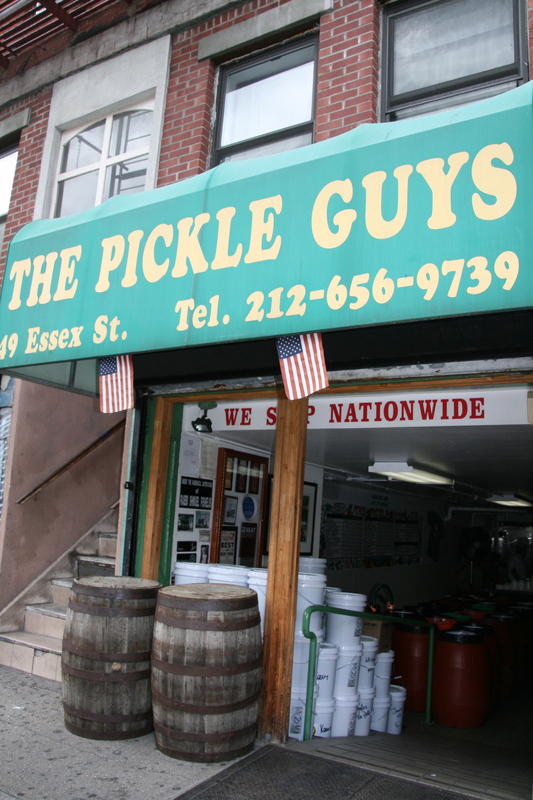 Turning a corner on the Lower East Side, we found the best pickle at The Pickle Guys on Essex Street. 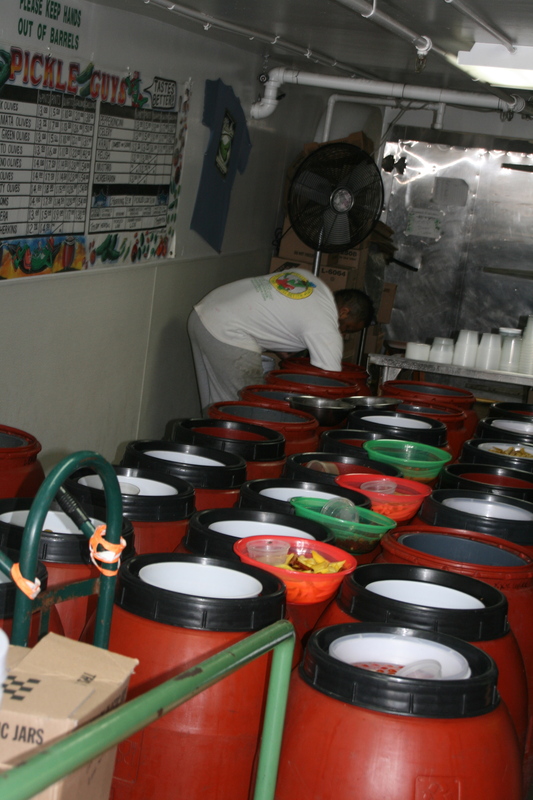 Stepping down a few steps, we entered a room full of pickles: vats of pickled tomatoes, olives, and carrots, mushrooms, green beans and peppers. And there were cucumbers: sour and hot, half sour and three quarter sour. I bought the full sour pickle and took a bite. Tart and crisp with just the right bite, it lived up to its reputation. Whether or not The Pickle Guys actually sell the best pickle in New York, I never found out, but for pickle connoisseurs everywhere, it’s definitely worth a visit. Food, Gluten Free, New York City, U.S.